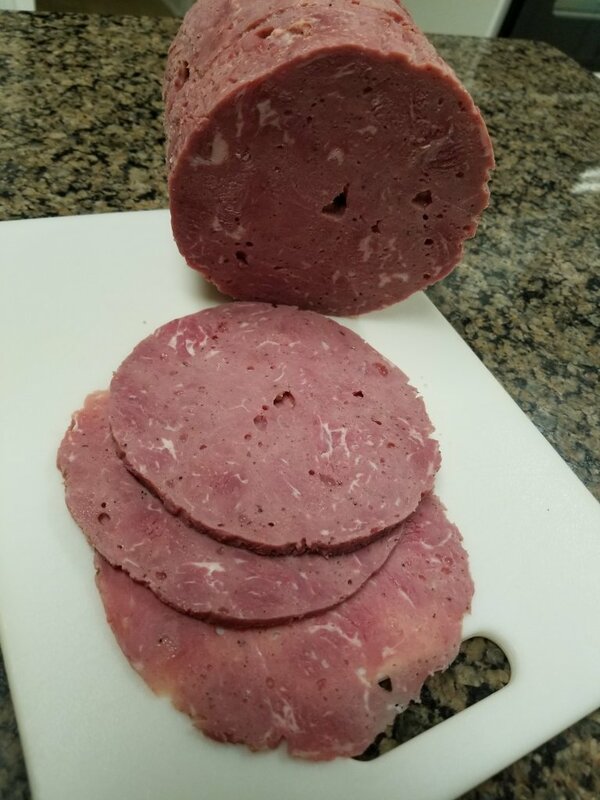 I have decided to shift some of my sausage making over to deli style meats and cold cuts for a number of reasons – I like them, they are getting expensive and by and large they are not the quality I am preferring (even on high end name brand), I am seeking lower salt and fat versions, I can make them my way --- and the family likes them. Plus it’s quite interesting and good eats, too. 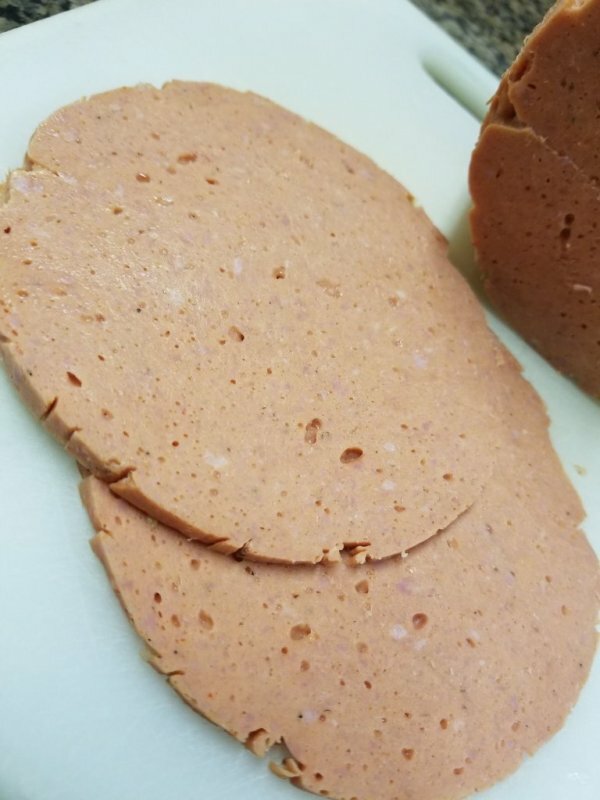 Deli type meats that are not emulsified into a paste and cooked in a loaf form (think bologna) are those that are called reformed meats also knows as “formed and pressed” meats and are generally a ham, chicken, or turkey loaf or round – or even the common SPAM product. One piece of equipment that is necessary for producing the “formed and pressed” meats is the “ham press”. 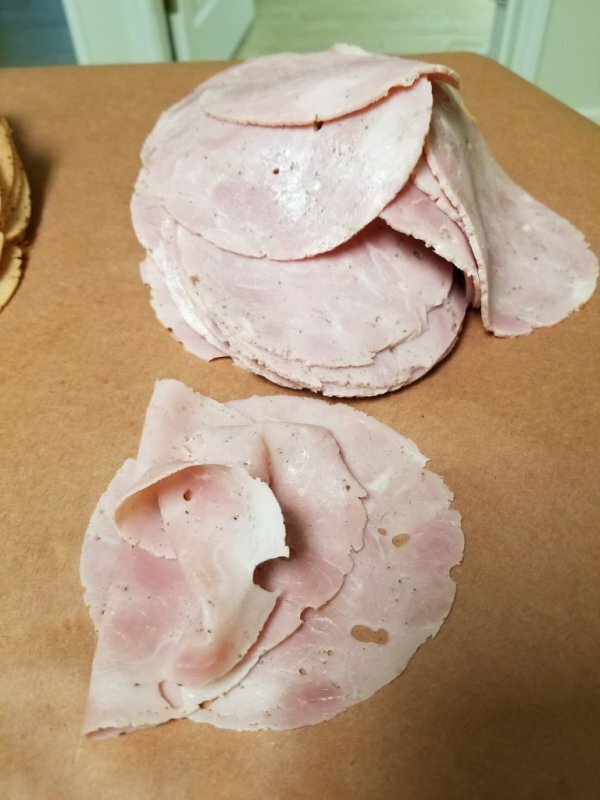 These meat products are made from pieces of well-trimmed meat bonded by the proteins in the meat and are meant to act and taste like the natural product but in a more sliceable and user useful sandwich style slice. One such example is a “chicken breast”. To make these, the meat (such as boneless skinless chicken breast, turkey, pork loin, lean beef, etc.) is cut into roughly 1 inch cubes, seasoned and “tumbled” with a liquid addition until the meat proteins exude from the meat. 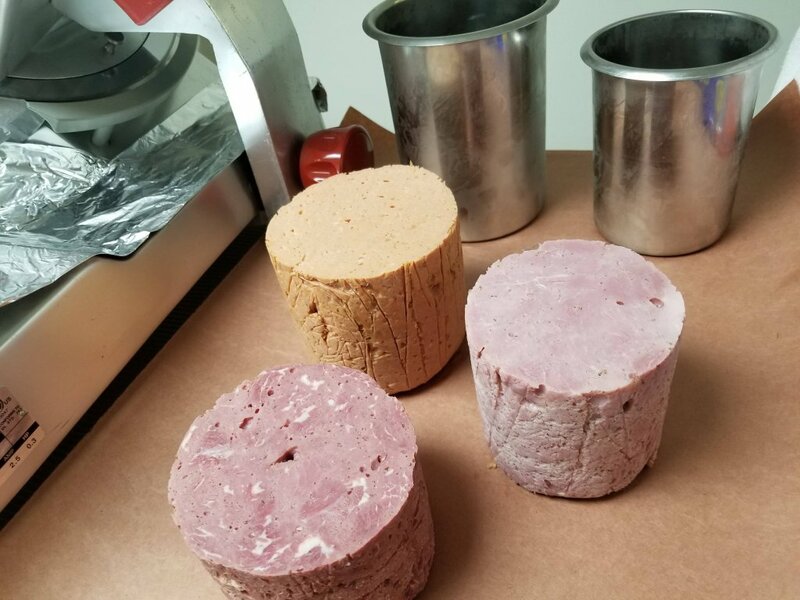 The resulting mix is placed (packed) in what is generically called a “ham mold” or “ham press” which has a spring loaded pressure arrangement that compresses the meat mixture during a refrigerator curing/setting up time. This is followed by a cooking session with the meat still in the press – usually by poaching or equivalent means. The final product is cooled, removed from the mold and available for slicing. One thing about this type of meat processing is that it does not require a grinder, uses ordinary ingredients, is reasonably quick to prepare, can be done with a sous vide setup or even just a pot of poaching water on the stove (175 - 180 degrees F for poaching - cook meat to 165 to 180 internal depending on the meat) and gives great results. I have even done baked in the oven versions of some of the loaves. True commercial ham press molds are ridiculously expensive! So the trick is to build one or an equivalent. Web search shows some information but perhaps not as much as one would prefer to have. Thus, I set out to come up with a practical approach using readily available off the shelf items to making a “ham press” using available items that provide cooking flexibility not only in a poaching environment but also in an oven cooking mode. I wanted to be able to make a square shaped loaf as well as round loaves. Here is my solution for different sizes (capacities) and shapes for a “ham press”. The best containers are those that permit cooking in a poaching bath (such as sous vide) and even able to be used in the oven. They should also mechanically allow the cooked meat product to be easily removed form the form. Hotel pans and bain marie items meet these criteria and are readily available and inexpensive. Having many other applications in food preparation, serving and storage, the small investment goes beyond just this use as a meat form/press. I got these containers from https://www.webstaurantstore.com/ along with other items on my order to optimize my shipping cost across the order. I provide the specific info to give you an appreciation of the items, should you care to use the information as a reference point. The capacities of these containers at various depths of fill both in volume and meat weight is given in the tables I included. This was determined by a combination of measurement and empirical results since these containers all have a slight taper from top to bottom. 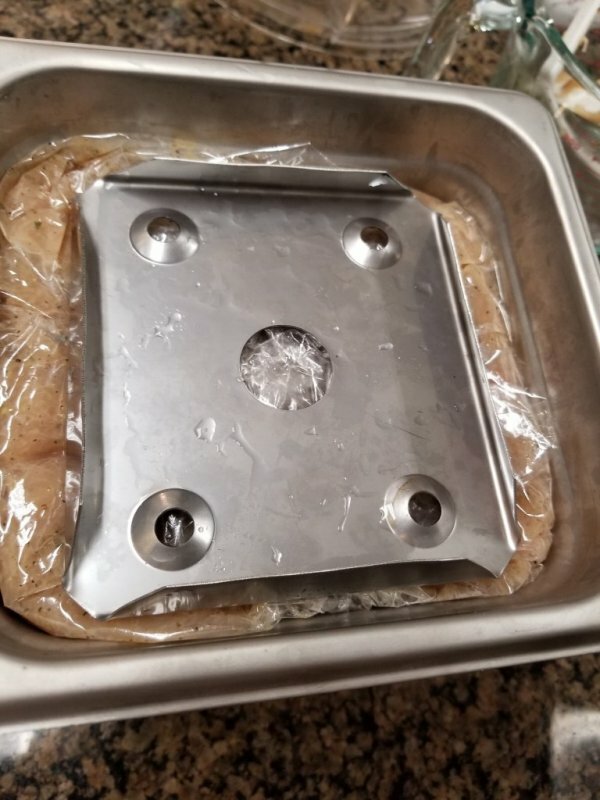 I use my sous vide setup for cooking the meats and therefore I do not fill the mold all the way up to the top with the meat. I like to leave at least a 1” freeboard so the sous vide water can come above the meat level to cook the meat but not overflow into the container. The simplest solution is to use commercial exercise equipment weight plates sized to fit into the containers. This is a simple solution which took considerable effort in searching for the right pieces and parts that fit. Other weight solutions could also work depending on what you have – even using stone or a piece of cast concrete but those generally do not have the same density to form factor relationship like the iron weight plates. Besides, the plates are relatively cheap and will go in an oven for high heat cooking when the molds are used for other types of meat products where poaching is not the preferred cooking method. After much research, as well as a good deal of trial and error, I finally found something that worked quite well. I ended up buying various weights from different sources to experiment. BTW, the manufacturer’s stated dimensions on such weight plates are often not precise enough to determine without having one in hand if such will fit in the molds – thus the reason I had to go through quite a bit of trial and error. The best source of these plates that I found (especially because of the free shipping to the store) is Walmart. I purchased 8 of these plates to permit multiple molds being used at the same time. I have found that 2 or 3 plates on a mold seems to work and 3 plates is my current go to weight on the 1/6 hotel pan. To permit the weight plates to exert a uniform force on the meat, you need a presser plate to sit the weights on. For the 1/6 hotel pan, a perforated bottom or draining pan spacer plate works acceptably. It does not fit quite as close as one might prefer to the sides but its readily available and the weights sit in the plate turned upside down (flanges up) if you bend the flanges out just a bit along their length with pliers. An easy thing to do. The spacer plate also does double duty for other uses of the hotel pan when a draining spacer plate is useful. Alternatively, you could cut a suitable presser plate out of metal or wood. I wanted metal so that the pan could also be used in the oven. For the round bain maries you can find useful ready to use presser plates by scavenging metal or even plastic tops off of various containers. You can get real close to perfect by hunting around. Or make some out of wood or metal. A poly type cutting board makes a great items to cut pieces from. I did just that with one that I retired from kitchen service Drill a suitably sized hole in the center of the presser plate if it is one solid piece aligned with the hole in the center of the weights as a place to insert your cooking thermometer into the central core of the meat block. Keeping in mind we are in water bath at 185 degrees or less when you hunt for materials, here are some examples of what works (and I have used). You will see that use of a cooking bag for the food isolates the food from the weights and the presser plate. I also wrap my weight stack in plastic wrap as I found that to be convenient in handling the stack. a CD or DVD is 4.72 inches and will work in a pinch - but probably not an ideal choice or one I would necessarily recommend! 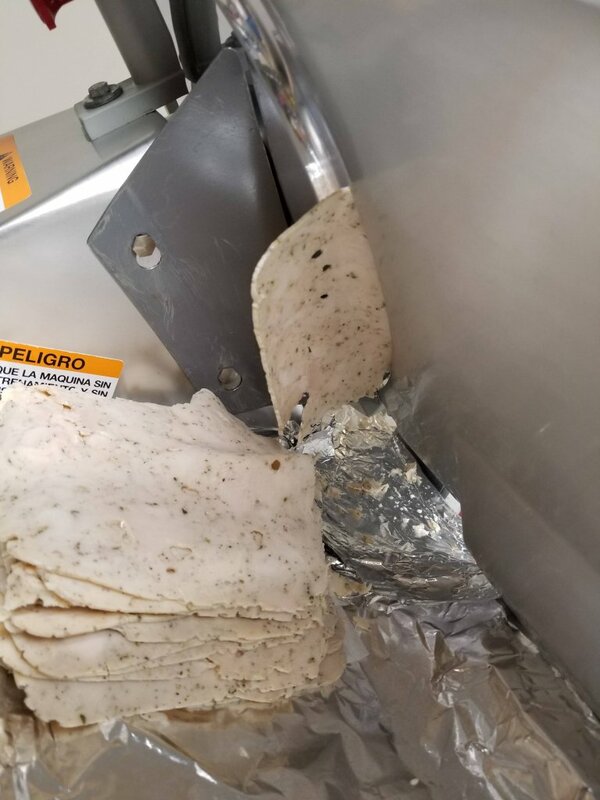 If you happen to use a CD as a test you might want to put it in a ziplock bag because it seems to give off an odor when heated in the 180 degree atmosphere. Since the meat is enclosed in the cooking bag (see next section) this is not an issue in a practical sense. 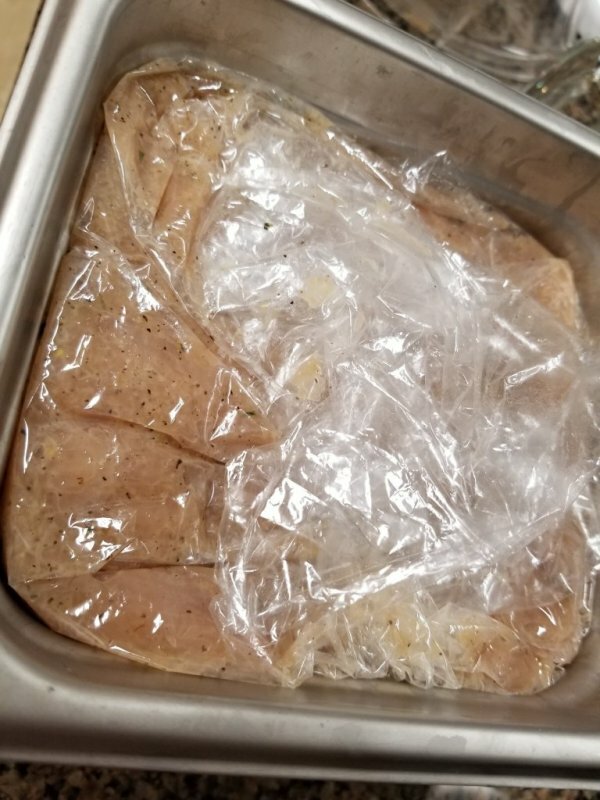 It is recommended (more like a necessity) for ease of removal of the meat from the containers after cooking to use a “cooking bag” in the mold as a liner. Since I already had an order in play, I bought these bags for this purpose as well as other cooking uses. They will fit the 1/6 hotel pan and the others – just a bit large. Otherwise just get suitable oven cooking bags at your local grocery. So now you hopefully have a more comprehensive view on making a “ham press” mold. 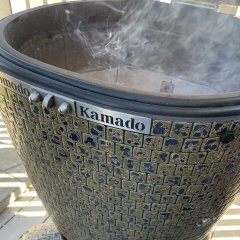 Yes, you can buy round ones on Amazon or E-bay, such as that from Madax Ham Maker. Based on the video they seem to work, but I did not care for the capacity (2 lbs), and I figured I could put together a solution that was higher capacity, multi-purpose and cheaper, too. 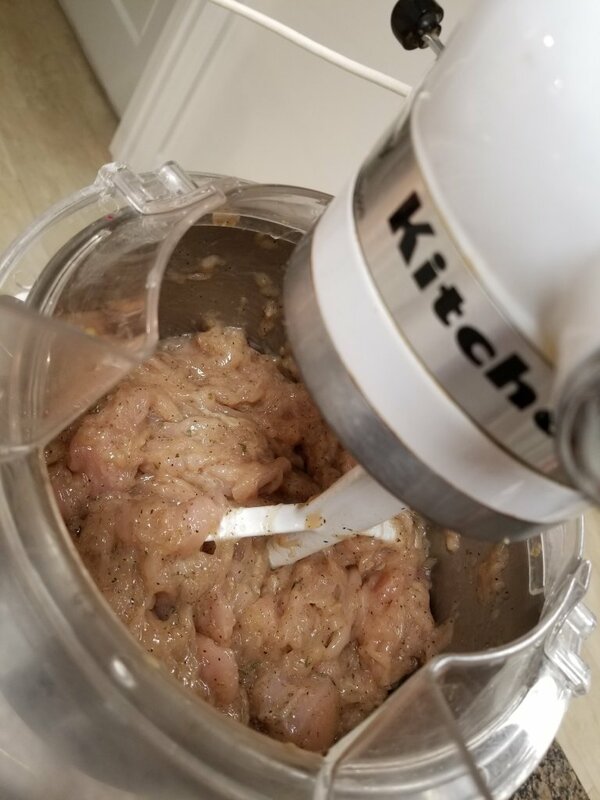 Below are some pictures of the apparatus piece parts and also the hotel pan in use and the results from making a delicious formed chicken breast. That and other recipes will be the topic of separate posts. 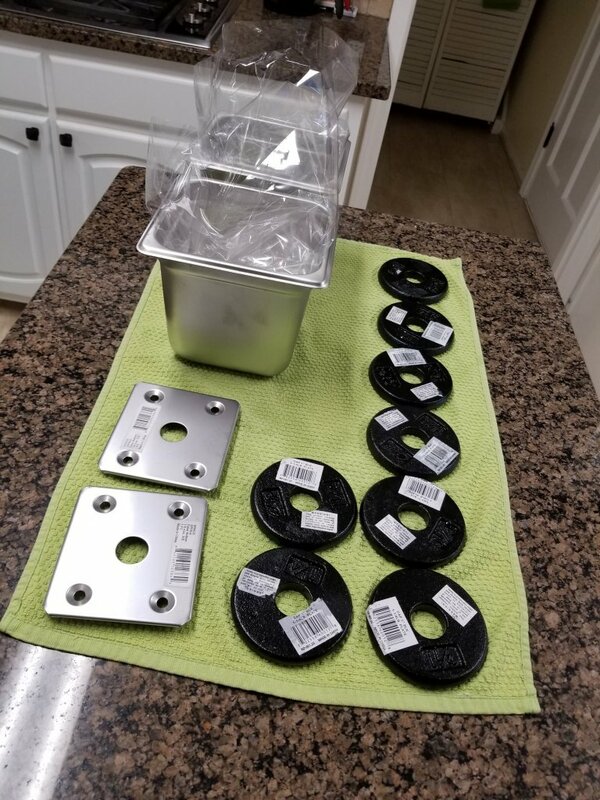 I bought 2 of each of the sizes, the false bottoms and the weights for just under $40 not counting the cooking bag liners or apportioned shipping costs. And with these items I have flexibility to use them for other cooking related tasks. I also bought the hotel pan and bain marie solid metal covers as they are reasonably cheap and handy. For the hotel pans using the metal covers, Volrath makes silicon sealing “steam table pan bands” (webstaurantstore - Items # 922N0006B or 922N0006G) that provide a liquid tight leak proof seal. They are however, not cheap ($6.89 ea). I got a couple of those for grins for other applications of the 1/6 pan and they work as advertised – and have been quite useful. Here are some photos of the apparatus and some results. Packed in the Press in Cooking Bag. Ensure tight pack and no air pockets! The weight approach is simple and works well. 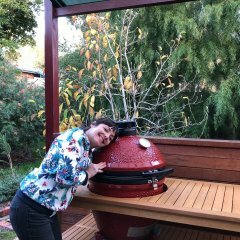 I wanted to also use a spring design and have an increased pressure on the meat. I have worked out a couple of approaches to do it with springs using the same pans. Some fabrication is required. With the spring approach I can get 10 plus pounds of pressing force. However, in the reality of things, the weight approach is simpler and more than adequate, so I will not include the spring versions in this write-up. Just want to let you know that is an alternative if you want to jump into a mechanical challenge project!. Fantastic! Certainly something on my list, I have been researching various recipes for loafs of meat product like spam am similar products. If I had some forms I'd try this weekend! 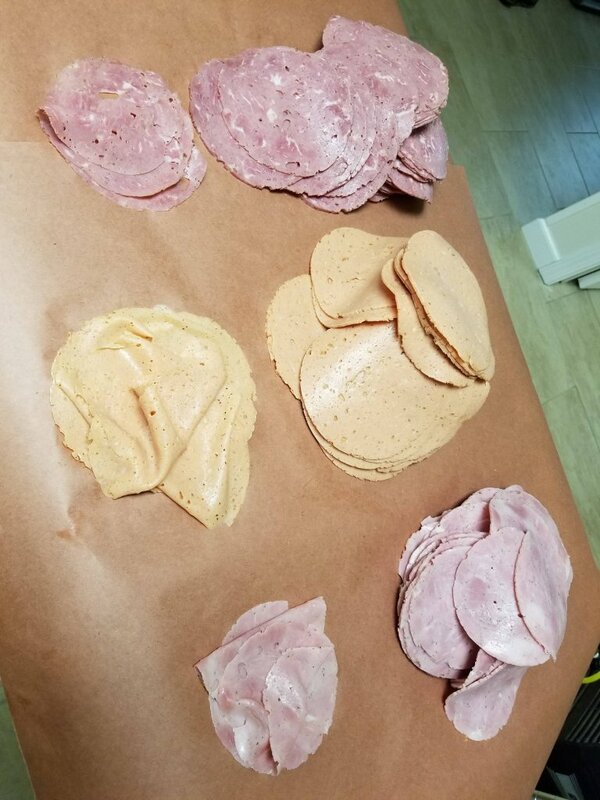 Might not be a project I would take on, but what a fantastic way to make some really high quality lunch meat! I'm just imagining a grilled bologna sandwich with that Pork garlic bologna, yum. Awesome setup! Great job with all of those. Thanks for the detailed post. I had just finished doing a coarse grind on a chuckie for burgers when I started thinking about sausage. I decided right then to do a test run of a single 1 pound cotto salami round. I used what I had on hand. @Smokehowze was one of my sources of information. I also inoculated it with a 7 strain germ. 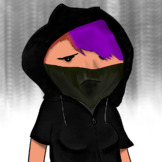 This is something I want to play more with. I didn't have any casings so I used a Mason jar. Once mixed and packed it sat in the fridge for a few days to mature and cure. I cooked it in the sous vide at 165 for about 3 hours to an internal temp of 155. Let it rest for a few hours, dried it off and vacuum sealed it, back in the fridge for almost a week to mellow. A few pics, my first taste. I think I'll do a large batch for Christmas gifts. It's tasty! 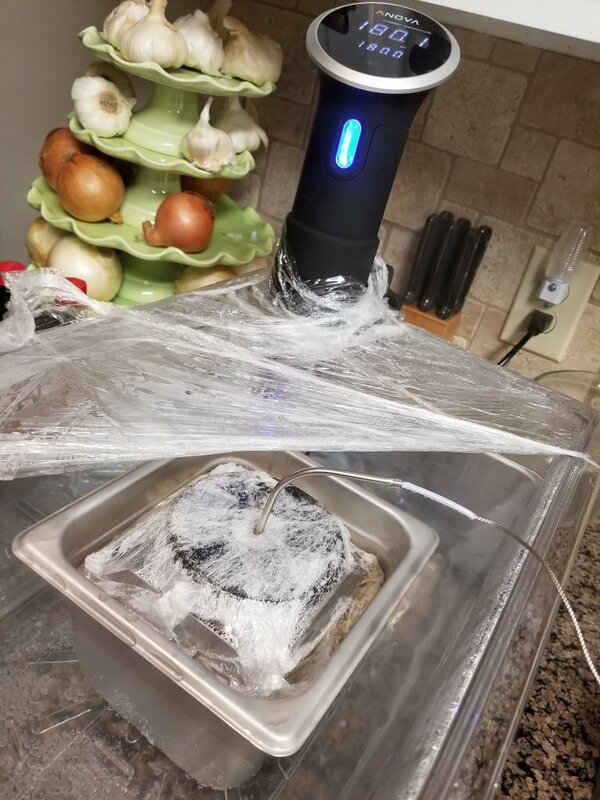 I'm not into sous vide (yet) but I found this technique to be an interesting way to tackle an old standard. Sunday night, threw one in the Sous Vide at 50C, and let it sit. Yep, I have no fear. 2 Days. Like a boss. mmmmmm, who wouldn't want a piece of this...? I recently acquired a PicoBrew Pico Pro electric brewing device to review on my YouTube channel (The Pico Pro: A Hands-On Review) and discovered that it has a sous vide mode built-in. I couldn't resist giving it a try as you can see in the video below. Turned out perfectly medium rare and very juicy. I just wish it had the charcoal flavor it was lacking.